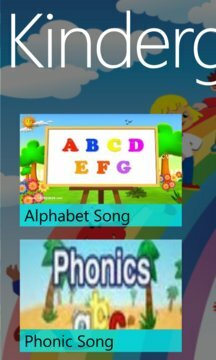 Kindergarten English app introduces preschoolers to the shapes and sounds of letters and starts them on the path to literacy by showing how those letters combine to form words. 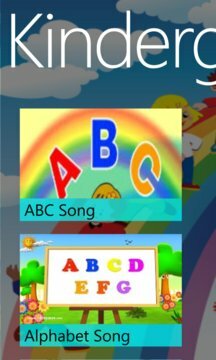 The objective of App is Kid learn with fun through Kindergarten rhymes, games, activities. Animated character, videos like Disney are used to spell words aloud as the letters appear on the screen, and as kids become more familiar with the alphabet, they will be encouraged to do the same. Simple storylines and vibrant characters will excite youngsters' imaginations and entertain them as they learn. This app help toddlers a lot in building words. This is a wonderful and fun way to teach spelling. If your looking to start your child in spelling and reading this is one you should allow them watch.